The Messenger(sallallahu alaiyhi wassallam) of Allah was taken ill shortly before the end of Safar. During the night he had been to Baqi' al-Gharqad, a cemetery in Madinah now called al-Baqi', to pray for the dead. The following morning he became ill.
His pain increased. Then, in the house of Maymunah, he called his wives and asked them to permit him to be nursed in A'ishah's house. All of them agreed. He came out walking between two men of his family, Fadl ibn Abbas and Ali ibn Abi Talib. His head was bandaged and his feet were dragging as he entered A'ishah's house. The Messenger(sallallahu alaiyhi wassallam) of Allah had ordered Usamah ibn Zayd ibn Harithah to lead an expedition to Syria, commanding him to take the cavalry to the borders of al-Balqa' and ad-Darun in Palestine. Many of the leading Muhajirun and Ansar were in his army, the most eminent being Umar ibn al-Khattab. The Prophet's illness took a serious turn when the army was at the border of al-Jurf. 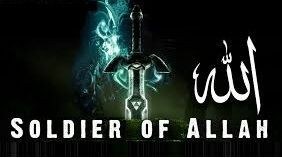 After his death, Abu Bakr(R.A.) sent forward the army under Usamah(R.A.) in order to carry out the Prophet's last wishes and to fulfil what he had wanted. 'No, they are waiting for you, Messenger(sallallahu alaiyhi wassallam) of Allah. 'Pour some water into a basin for me. Once more he was told, 'No, they are waiting for you, Messenger(sallallahu alaiyhi wassallam) of Allah. He again said, 'Pour some water into a basin for me. Umar replied, 'You are more qualified to do it.' So Abu Bakr led the people in prayer during that period. Sitting on the mimbar with his head bandaged the Messenger(sallallahu alaiyhi wassallam) of Allah said, 'Allah gave one of His slaves the choice between this world or that which is with Him. His Slave chose that which is with Allah.' Abu Bakr realised that the Messenger(sallallahu alaiyhi wassallam) of Allah was referring to himself and broke into tears, saying, 'We will ransom you with ourselves and our sons. Abu Bakr led the Muslims in prayer until the Monday morning. While the Muslims performed the Fair prayer, the Prophet lifted up the curtain of A'ishah's door and gazed at them standing before their Lord. He saw the fruits of his efforts to call people to Islam and jihad and Allah knew how happy he was. His face was beaming with joy. When the Messenger(sallallahu alaiyhi wassallam) of Allah was close to death, he repeated, 'Be careful of prayer and those in your charge.' Then his breast began to heave and his speech became inaudible. His armour had been pawned with a Jew for thirty sa's of barley. He had been unable to find anything with which to redeem it before he died. During his illness, the Messenger(sallallahu alaiyhi wassallam) of Allah set free forty slaves. He asked A'ishah to give away as sadaqah the six or seven dinars she was keeping for him. The Messenger(sallallahu alaiyhi wassallam) of Allah died on Monday, 12 Rabi' al-Awwal, 11 A.H. in the heat of the afternoon. He was sixty-three years old. It was the darkest, hardest and most difficult day for the Muslims and an affliction for mankind just as his birth had been the happiest day on which the sun ever rose. In the Hall of Banu Sa'idah, the Muslims paid homage to Abu Bakr as the successor to the Messenger(sallallahu alaiyhi wassallam) of Allah. They were anxious to prevent devilish intrigues from destroying their unity. They were determined that the Messenger(sallallahu alaiyhi wassallam) of Allah would leave this world with the Muslims unified and under a strong leader who could take charge of their affairs. The Messenger(sallallahu alaiyhi wassallam) of Allah's bed, in which he had died, was removed and a grave dug beneath it by Abu Talhah al-Ansari. Khadijah bint Khuwaylid al-Qurashiyyah al-Asadiyyah (may Allah be pleased with her) was the first of the Prophet's wives. He married her before his prophethood when she was forty. She died three years before the hijrah. She bore him all of his children except for Ibrahim. After her death he married Sawdah bint Zam'ah al-Qurashiyyah. Later he was wedded to A'ishah as-Siddiqah bint Abi Bakr as-Siddiq who was the most intelligent and knowledgeable of the women of the Ummah. Hafsah bint Umar ibn al-Khattab was his next wife, followed by Zaynab bint Khuzaymah who died two months later. He then married Umm Salamah, Hind bint Abi Umayyah al-Qurashiyyah al-Makhzumiyyah who was the last of his wives to die. He also married Zaynab bint ,Jahsh, the daughter of his aunt Umaymah. He married Juwayriyyah bint al-Harith ibn Abi Dirar al-Mustaliqiyyah, Umm Habibah bint Abi Sufyan and Safiyyah bint Huyayy ibn Akhtab, chief of the Banu'n-Nadir. His last wife was Maymunah bint al-Harith al-Hilaliyyah. When he died he had nine wives; only Khadijah and Zaynab bint Khuzaymah had died during his lifetime. All of them, except A'ishah, had been widows when he married them. Two bondswomen also survived. They were Mariyah bint Sham'un, the Egyptian Copt who had been presented to him by Muqawqis, the ruler of Egypt, and who was the mother of his son Ibrahim, and Rayhanah bint Zayd, of the Banu'n-Nadir. When she became a Muslim, the Messenger(sallallahu alaiyhi wassallam) of Allah set her free and married her. Khadijah bore him al-Qasim, by whom the Prophet had his kunyah; he was called Abul Qasim the father of al-Qasim. He died in infancy. Then Khadijah bore the Prophet four daughters: Zaynab, Ruqayyah, Umm Kulthum, Fatimah, and another Son, Abdullah, who was known as at-Tayyib and at-Tahir. Fatimah was the Prophet's most beloved daughter. Of Fatimah, he said that she would be the leader of the women in Paradise. She married Ali ibn Abi Talib, the son of the Messenger(sallallahu alaiyhi wassallam) of Allah's uncle. She had two sons, Hasan and Husayn, about whom the Messenger(sallallahu alaiyhi wassallam) of Allah said, 'Al-Hasan and al-Husayn are the leaders of the youths in Paradise. Mariyah the Copt was the mother of Ibrahim who died while still an infant. When he died, the Prophet said in sorrow, "The eye weeps and the heart is sad, but we do not say anything to incur the anger of Allah. We are sad, O Ibrahim".